blackturtle.us: I saw that too. I have nothing against patriotic displays, but hopefully the graduating class decorates it with their own design soon. That liberty bell is a little corny sitting out in front of the school. Regarding the patriotic rock: tacky, incredibly tacky! 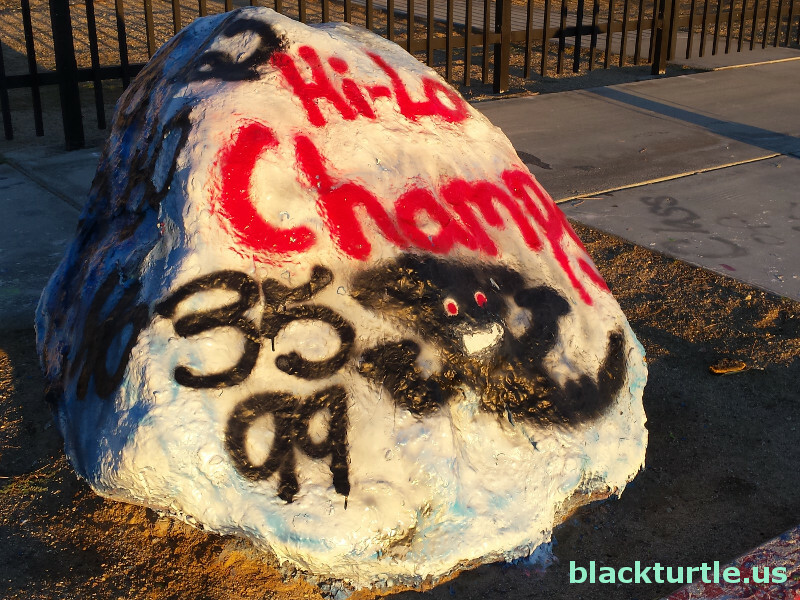 blackturtle: The rock has had a different design for awhile now. How about an update? I'd do it myself and I might eventually get around to it, but it would be probably easier for you to do it. THS ROCK: That's a very cute design. I like the little tornado. I'm guessing that the numbers belong to players on one of the sports teams. That's just a guess, of course. THS ROCK: It's not the best design I've seen and it's not the worst. As long as no one changes the A in CHAMPS to U or I things should be fine. 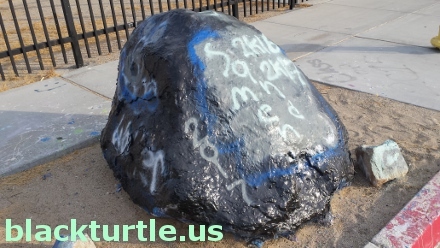 THS ROCK: No one's going to win an award for best design ever, but there are no such awards for decorating the high school rock, so I guess it doesn't really matter, but I doubt that design would make the top ten although it is kind of cute. Isn't it about time for a new rock design? Maybe something with a little more blue in it. There must be some artistically inclined kids at the school who are creative enough to come up with something interesting and original. 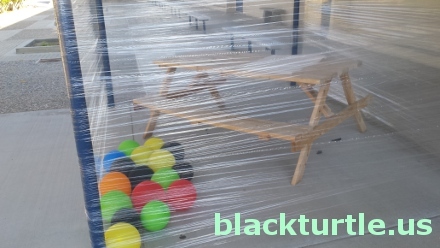 blackturtle.us: That might be the most creative and least destructive senior prank I've ever heard of. Accolades to whoever thought of that one!